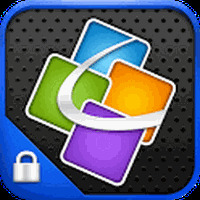 "Open documents anywhere with this application"
App description: With this free app from Google, you can create and edit documents, spreadsheets and presentations in Microsoft ® Office phones and Android tablets. Functions: Access files in Google Drive on your device. Activities: Open and read PDF files. How to use: Log in with your Google account to save items in Google Drive and access files from any computer or mobile device. Recommendations: For anybody who needs to view and edit files while not at their PC. Rating: The TOP 5 Most popular Apps in Viewing files category. Ranking: The TOP 5 Most downloaded applications in Viewing files category. Provides up to 15 GB of free storage. You can share files through folders already shared in Google Drive. Lets to attach files to emails. Sometimes it won't open files larger than 100 MB. An application to open PDF documents, Word, etc. Import all documents to your phone or tablet. View CAD files from your Android tablet.